As dependable local electricians, we offer all the electrical services you need for your home. As a local business, we come highly recommended, getting the majority of our clients through word of mouth. Many of our clients in Eltham have been with us for many years, largely because we show such commitment to customer service and doing the right thing. Unlike other electricians, we won’t ever carry out work that you don’t actually need. We will carry out full investigations before commencing with any work, and we will provide you with a full quotation first so that you know exactly what to expect. Ask us for your quotation today, and we will come round at a time that is convenient for you. Fire alarms – installation and maintenance of full fire alarm systems. 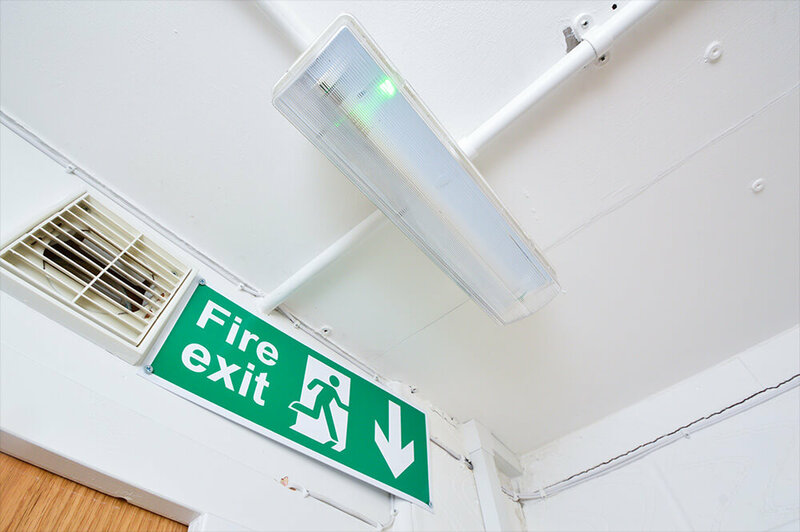 Emergency lighting – we install, maintain and service all emergency lighting. Access control – using key fobs, entry cards and audio systems, we make your building more secure. CCTV – we install CCTV in your commercial property and help you maintain it as well. Full and partial rewires – we can complete full electrical refurbs when needed. Maintenance – we offer maintenance contracts and one-off maintenance. 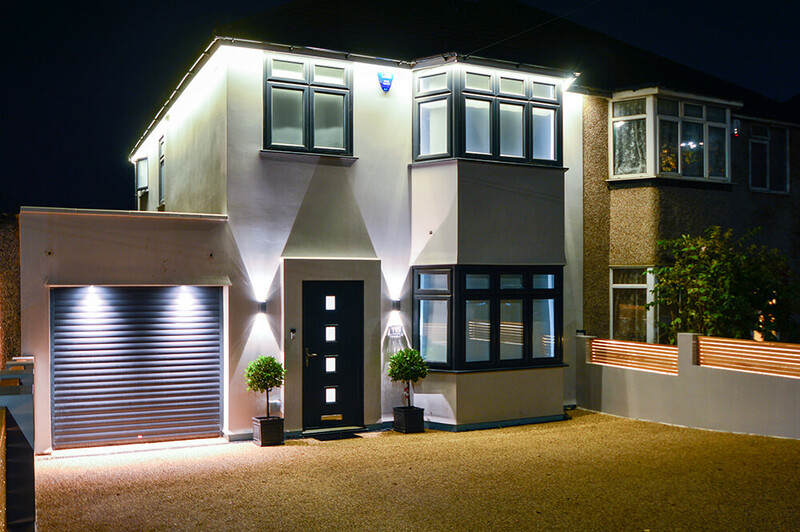 We completed work for our client in North Park, Eltham SE9. 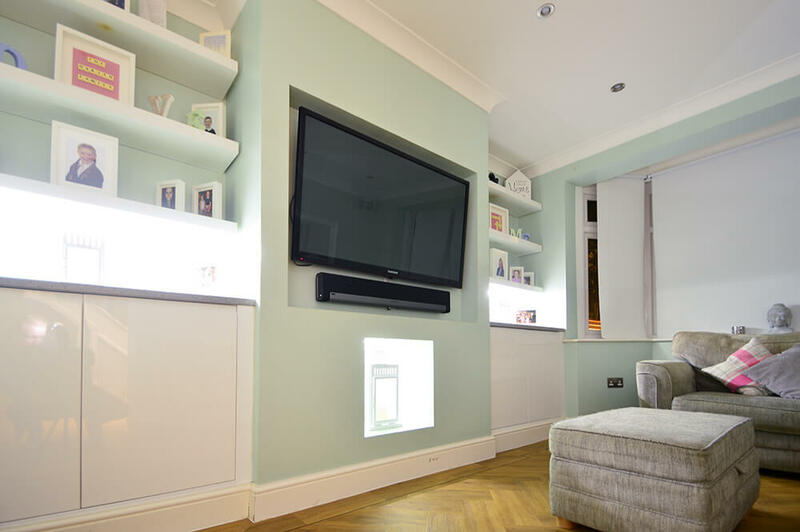 The client had recently purchased a new property and required a full rewire of the lighting and power circuits, including TV, Sky and data to the property. We also installed down-lighters and spotlights in the bedroom, giving the space a more hotel-like feel. We were notified that clients would be moving in within two weeks, so we needed to make sure we completed all work on schedule so that the house would be ready for them. Why select us as your chosen electricians? We work with many clients in and around the Eltham area, who choose to use our services for many years. Once clients have worked with us once, they trust us to take care of all their electrical needs. We have been recommended to them. 90% of our work comes from recommendations, as clients are happy with our work. We’re efficient and time focused. Our internal app makes sure the nearest electrician arrives with you quickly in an emergency. We provide no-obligation quotes, so you know exactly what you will be paying before a project commences. We take on projects of all sizes, working around your schedule to complete work on time and on budget.